The Best Chirstmas Gift EVER! 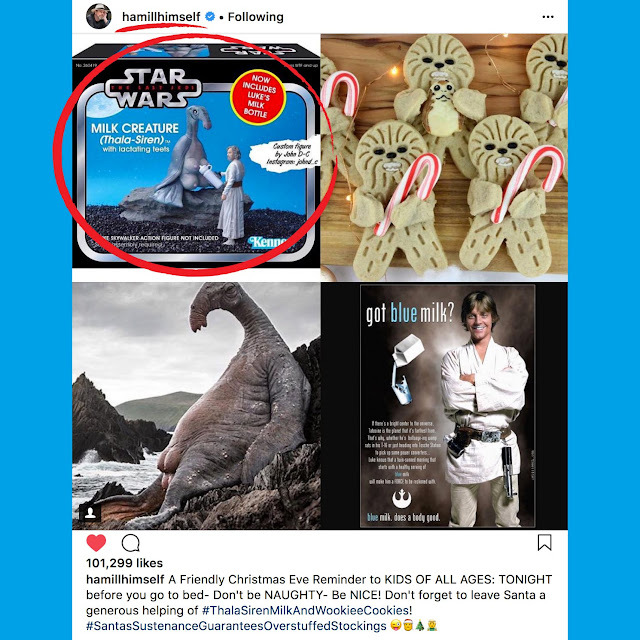 It's a Christmas miracle when you wake up to the news that the custom toy Thala Siren from Star Wars the Last Jedi that you created for a few laughs with your friends has been shared on social media by the one and only Luke Skywalker, Mr. Mark Hamil! 182,335 likes on Instagam and climbing... but who's counting? I've been a Star Wars fan my entire life so yes there definitely is a Santa Claus!